Project Manager, Structural Analysis Lead & Engineering Specialist Senior; NASA Engineering & Science Contract Group (MEI), Houston, TX - February 2005 to May 2007. 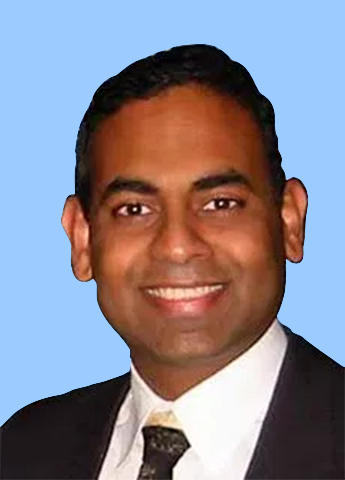 Satish Reddy is a Chief Engineer with the JSC Engineering, Technology and Science Contract, the main engineering support contract at the NASA Johnson Space Center, Houston. After completing a BS and MS in mechanical engineering, Satish joined the automotive industry in Detroit. He rose up to be an engineering manager leading large vehicle structural and mechanical analysis teams at GM, Ford and Chrysler. He was a product manager responsible for the development of pioneering engineering simulation software products at a Detroit based technology company that enabled the auto industry to dramatically shorten new vehicle development times. He simultaneously built a family franchise in the area of consumer product distribution that currently has operations in 6 countries doing over $20M in group sales. He then joined the space program in Houston, lead key aspects of the space shuttle return to flight program as project manager and now is chief engineer at the main engineering support contract at NASA Johnson Space Center. In 2008, the astronaut corps presented him with one of the most sought after awards at NASA, ‘the Silver Snoopy’ for his role in identifying the severity of tile damage on an Endeavour space shuttle flight and providing timely engineering analysis that helped it land safely. Today he works in troubleshooting problems in hardware on the International Space Station, designing new space hardware and developing cutting edge technologies that push the frontiers of NASA’s capabilities. He has several inventions and patents pending to his credit. He believes he has one of the most exciting engineering jobs on earth and passionately promotes engineering to middle and high school students. Over the last 4 years he has regularly taught students from around the world at Space Center Houston as part of NASA’s educational outreach program. He is a mentor for the ‘Iron Plaid’, an all-girls high school FIRST Robotics team in Houston. He is proud of them being a top seeded all girls robotics team in the world as adjudged at the World Championships at St. Louis in the past few years. 2015 Joseph J. Jacobs Master Builder Award for helping to engineer the SAFER (Simplified Aid for Extravehicular Rescue). The SAFER is the astronaut jet pack worn by them when they spacewalk. If they get untethered, they can use the jet back to fly back to the safety of the spacecraft airlock. 2015 NASA Innovations grant recipient for developing and demonstrating finite element structural analysis methodologies to simulate inflatable spacecraft modules, inflatable Martian habitats, fabric structures used in parachutes used to brake capsules landing back on earth and to simulate parachute straps interfacing with metallic spacecraft structures. 2015, Superior Assistance Award presented by the Software, Robotics and Simulation Division, NASA JSC for analysis, innovation and going beyond the call of duty to develop a unique and extremely cost effective solution to allow ARED (the astronaut weight lifting exercise machine used in weightless conditions in the International Space Station) to return to full nominal operations. 2015 Orion Capsule Parachute Assembly System - Special Achievement Award for troubleshooting the drogue and main parachute riser load sensor and conceiving designing and testing a custom load bar that successfully collected parachute riser loads data on flight tests. 2014 Orion Capsule Parachute Assembly System - Special Achievement Award for troubleshooting the Capsule Parachute Assembly System (CPAS) Instrumented Pilot Link in efforts to improve the accuracy for pilot parachute load measurement. 2013 NASA Johnson Space Center Innovator Award and Certificate of Appreciation from Dr. Ellen Ochoa, Director, Johnson Space Center, NASA. 2013 NASA Technology Spinoff of the Shipping Foam Designer Tool, an innovative excel based tool that anyone can use to calculate the kind and amount of foam/airbags to be used to surround their fragile items being shipped by FedEx/UPS/Mail. Nominated for the 2013 Stellar Award / Rotary National Award for Space Achievement, Rotary National Award for Space Achievement Foundation. “In recognition for your outstanding contribution to the nation in advancing space science and technology for all humankind” and “Exceptional expertise in structural and stress analysis and outstanding dedication to NASA flight safety and mission success”. 2013 Community Service Award for contributing to STEM education. Specifically, teaching middle and high school students classes on rocket science, biology in space, connecting physics and chemistry learned in the class room with the International Space Station and mentoring an all-girls high school robotics team compete in the FIRST Robotics competitions. 2012 NASA Innovations grant recipient for developing and demonstrating a compact parachute cord tension sensor. This was subsequently used in the development of the Orion Capsule’s parachute return system. 2012 NASA Innovations grant recipient for developing finite element math model methodology to simulate foams used to attenuate impact loading during hard capsule landing events. 2012 NASA Innovations grant recipient to develop the Shipping Foam Designer Tool. 2011, Jacobs Counter Measures Systems Innovation Award for developing an magnetorheological fluid damper based exoskeleton to provide crew exercise during long duration exploration space flights. 2010 Opel Award for Outstanding Performance and Leadership at the JSC support contract, MEI Technologies. 2008 Silver Snoopy Award – Astronaut’s personal achievement award. “For professionalism, dedication, and outstanding support that greatly enhanced space flight safety and mission success”. Awarded for identifying and recommending mitigation of potentially catastrophic tile damage during a Space Shuttle Endeavour mission"
2006 Award of Excellence, MEI Technologies.